Have you ever considered participating in a clinical trial? I have, yet... I haven’t. ClinicalTrials.gov provides "patients, family members, health care professionals, and members of the public easy access to information on clinical trials for a wide range of diseases and conditions." The U.S. National Institutes of Health (NIH), through its National Library of Medicine (NLM), developed the site in collaboration with all NIH Institutes and the Food and Drug Administration (FDA). Click here to search for Multiple Sclerosis clinical trials. Clinical Trials - Would you be an MS Guinea Pig? And just yesterday, I received the following email regarding two ongoing Phase 3 trials comparing Campath (alemtuzumab) and Rebif (interferon beta-1a). I do not qualify to participate due to having another autoimmune disease besides MS, previous (and current) use of Copaxone and Methotrexate. But you just might. My name is Brenna Fitzgerald and I’m writing to you from Fleishman-Hillard, a communications company, contracted to create awareness regarding two clinical research studies in multiple sclerosis. 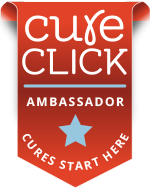 As your blog chronicles your journey with multiple sclerosis, I wanted to let you and your readers know about two global clinical research studies that are seeking adults with relapsing-remitting MS. 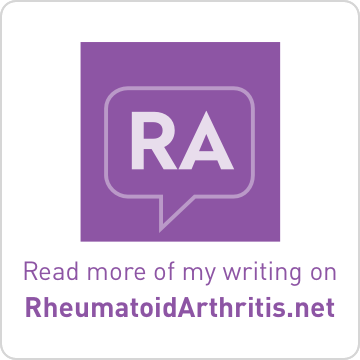 The Comparison of Alemtuzumab and Rebif® Efficacy in Multiple Sclerosis (CARE­MSSM) I and II studies are designed to determine the safety and effectiveness of the investigational drug alemtuzumab as compared to the FDA-approved therapy Rebif (interferon beta-1a), in adults with relapsing-remitting multiple sclerosis. The studies will look for differences between these drugs on the progression of disability and in the number of relapses (flare-ups) and brain lesions caused by MS. The studies also will compare the side effects of the drugs and monitor for risks during and after treatment. Current therapies require frequent, long-term administration. When compared with no treatment, they have been shown to reduce the number of relapses, slow the formation of MS associated lesions in the brain, and impact progression of disability. A need still exists for more effective therapies to further slow the progression of disability. Studies measuring investigational treatments against standards of care are advancing knowledge of these drugs on the disabling effects of MS, which may impact the patient's quality of life. Every patient in the CARE-MS studies will receive active treatment; there is no placebo. Participation in the CARE-MS trials may offer participants the opportunity to help advance research in the treatment of MS while taking a role in their healthcare. Alemtuzumab, Rebif, the annual dose of steroids, and study-required procedures are provided at no cost. To be eligible to participate in the studies, volunteers must be between the ages of 18 and 50 (CARE-MS I) or 18 and 55 (CARE-MS II) and meet specific criteria, including having a diagnosis of RRMS and first experiencing MS symptoms within the last 5 years (CARE-MS I) or 10 years (CARE-MS II). 1-888-404–MS-CARE (United States only) or visit www.CARE-MS.com. There, you will find additional information about the studies and an online prescreener, which will allow people with RRMS to determine if they meet initial eligibility requirements. If you find this information useful, I hope you will consider sharing it with your readers and posting 1-888-404–MS-CARE and a link to www.CARE-MS.com on your blog. Lisa, thanks for your time and consideration. Please feel free to contact me at brenna.fitzgerald@fleishman.com if you have any questions or would like to discuss the studies. Genzyme Corporation is the sponsor of these studies. Bayer Schering Pharma contributed to the funding of the studies. Genzyme® is a registered trademark of Genzyme Corporation. All rights reserved. CARE-MSSM is a servicemark of Genzyme Corporation, Ó2008. Rebif® is a registered trademark of EMD Serono, Inc.
Something as simple as a survey filled out for the MS society can aid in research. You don't necessarily have to be a pin cushion like some of us. The account executive you heard from is from the same company that interviewed me for the PR campaign for End MS. I was very impressed with the woman I communicated with. And I'm excited that PR companies are being employed to recruit patients for MS studies. When I was recruited it was a matter of chance. As the length of time that DMDs are on the market increases, so too, does the information to be gleaned from their use. Studies will lead to better treatment protocols. 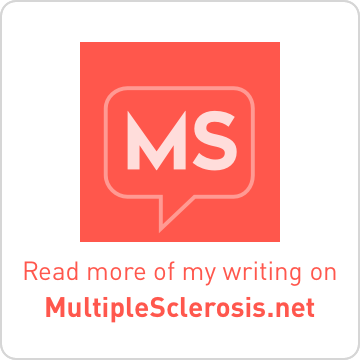 I encourage everyone with MS to at least register with their local MS Society and inquire into completing possible health surveys by health researchers. That's an excellent point regarding the health surveys. If they are considered, then yes I've participated in research. LOL why didn't I think of that? I particularly liked the way this letter read. Very respectful, not too familiar, thorough information, straight forward. If more PR companies used this simply approach, I'd gladly pass their information on more often. The number of people eligible to participate in medical trials would seem to get lower and lower as time goes on, if for no other reason than needing patients who haven't used DMDs previously. But no matter what, ALL patients can participate in surveys and quality of life research. Thank you for that reminder!!!! In Australia, there is a nationwide, ongoing survey that any Australians with MS can register to participate in. Surveys are sent out a couple of times a year (along with updates on results) and participants can withdraw at any time. Perhaps there is something similar where you are? So far, I have completed surveys that looked at MSers quality of life and the economic impact as well as other more specific areas like access to air conditioning. Data compilation is then gradually being used to help with decision making by governments, health sector and in the community.